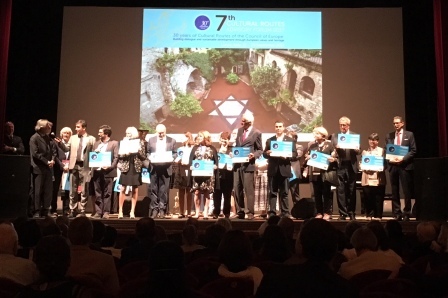 Patronat Call de Girona and AEPJ attend the Forum in Lucca (Italy) on 27-29 September, with a special ceremony to highlight the relevance of Cultural Routes for the promotion of cultural diversity, intercultural dialogue and sustainable tourism. The Forum will discuss trends and challenges in relation to Cultural Routes, providing a platform for sharing experiences, reviewing progress, analysing professional practices, launching new initiatives and developing partnerships across Europe and beyond. This year’s Forum “Building dialogue and sustainable development through European values and heritage” will provide a particular attention to the role of cultural routes in promoting Council of Europe’s values, local development and new spaces for intercultural dialogue. Participants range from managers among the 31 cultural routes of the Council of Europe to representatives of national ministries, European Union and international organizations, academics, experts and tourism professionals.